Dr.Lai is a Sr. Principal Scientist at BMS Pharmaceutical Candidate Optimization Department. His current role in BMS is to lead the transporter labs, to implement drug transporter strategies in drug discovery and development, to conduct in vitro/in vivo transporter investigations for regulatory filings. 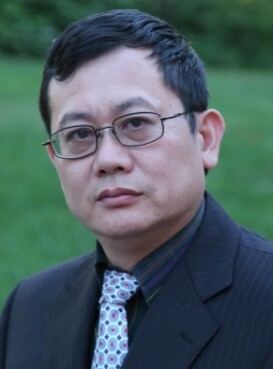 Dr Lai holds an Adjunct Professor faculty position in the Department of Pharmacy of the University of Rhode Island. He received his M.D from Fujian Medical University in China and his Ph.D. (Toxicology) from Sapporo Medical University in Japan in 1998. From 1998 to 2001, he was a research fellow of Japanese Society for Promotion (JSPS) in Department of Physiopathology, Graduate School of Medicine of Hokkaido University, followed by a position as Research Associate in Department of Pharmaceutics, University of Washington. In 2004, he Joined PDM, PGRD St. Louis and then moved to Groton in 2010, Pfizer Inc. and has been serving as a PDM representative (PI), postdoc supervisor and lab head for drug transporter research. In 2013, he joined BMS. He has had a significant role in translational researches in transporter associated ADME-PK-Tox. He is a patent inventor and the author of a book, book chapters and over 110 original publications in peer-reviewed journals. Current research interests include proteomics analysis for absolute differences of transporters across species, structure-activity relationship and the evaluation of in vitro/in vivo models to predict human PK and toxicity.